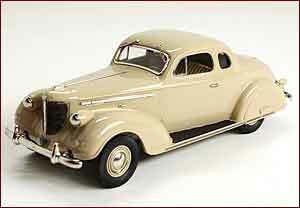 1938 Chrysler Imperial eight, series C-19 coupe. finished in beige. Model number five in the new Brooklin Models Limited range. 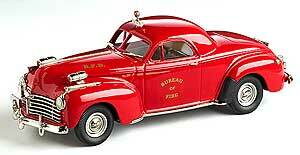 Fire departments usually had a car or two in their fleets and the Saratoga is a typical example of a Fire cheif's vehicle. The second in the series of Brooklin Anniversary Model to celebrate 40 years of Brooklin Models, the 1955 Chrysler Windsor Convertible, presented in a special presentation box. The Chrysler Windsor in embassy grey metallic, hand built in England, in heavy white metal. 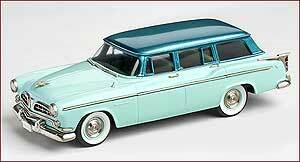 Brooklin Models 1955 Chrysler Windsor Station Wagon. 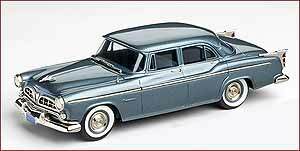 In 1955 Chryslers were all new along with other marques from the Corporation. Designed by Virgil Exner the new models carried the slogan, 'The 100 Million Dollar Look'. 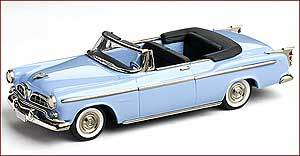 1955 Chrysler Windsor Convertible from Brooklin Models. 1:43rd Scale model hand built in England, in heavy white metal. This is the updated version with the black interior.